Our in store models are on sale and we are liquidating! 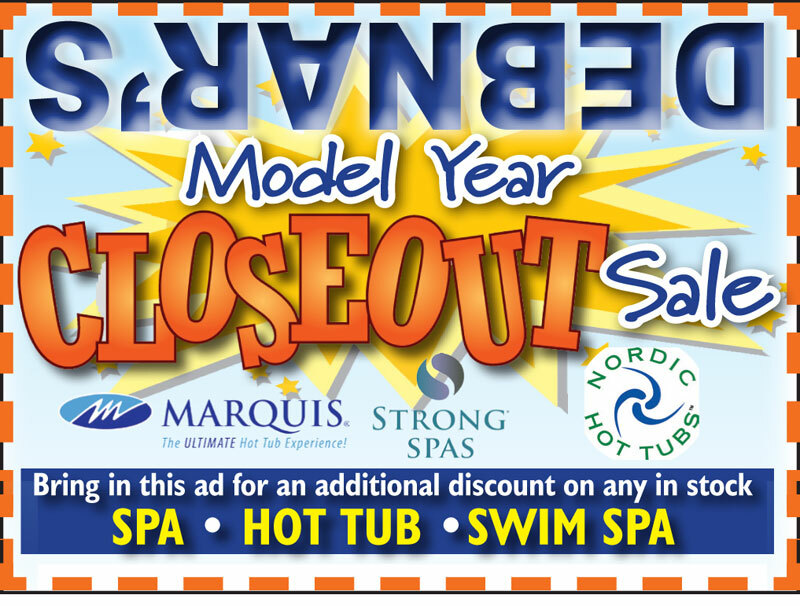 Bring in this ad for an additional discount on any in stock Spa, Swim Spa or Hot Tub! Never miss another promotion! 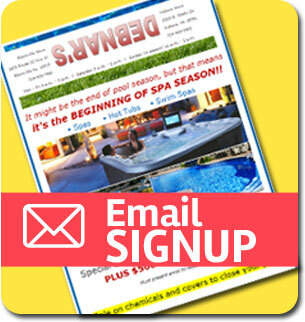 Sign up for our email list today! !